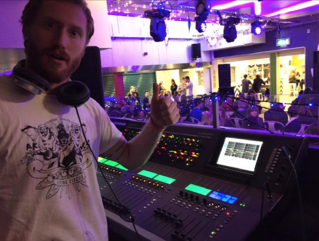 Graduating from dBs Music this year with a Bachelor of Arts in Music Production, and a distinction in Live Sound on our Foundation Degree, Simon Purse has started working for the esteemed Martin Audio as a Product Support Engineer. Simon explained, "The Live Sound course was fantastic at dBs Music, I really can’t rate it highly enough. The teaching style was fast paced and involving, moving from learning Mic techniques to wrapping your head around the inverse square law, the course was deep and practical. Being able to then apply this knowledge in an environment like dBs Music's own Live venue really builds your skill set and confidence. "The opportunities made available to the students for work experience, not only in the dBs Live venue but at several venues and events around the south west is unparalleled in live sound education. I volunteered for everything I was available to take part in such as, Freedom fields community festival, Tamerton Foliot Festival, Acoustic Haven (which was a monthly event in Totnes) and of course the events in the hub." 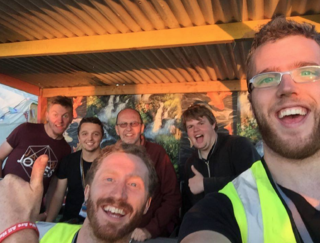 "My favourite memory of dBs Music will always be having the chance to work on the Pyramid stage at Glastonbury festival. Although working with friends doing something you love on any scale gig is awesome. Undoubtedly the hands-on experience, the theoretical background and the connections I made landed me my role at Martin Audio Ltd. I have to thank everyone at dBs Music but especially tutors Jim Parsons and Olly Wickes. Without whom I may not be in the exciting position I am, and I’m extremely grateful for their help and guidance over the last three years. I continued at dBs Music on to the Top Up BA course in Music production, but I would have definitely opted for the full BA degree in Live sound if it was available at the time. I’m glad I have a BA in Music production but for me it's all about Live Sound and if the BA is anything like the Fda I know I would have enjoyed it." Already working at Martin Audio and getting stuck in from the get go, Simon went on to explain, "The job's going great. I’ve already been involved with several international projects designing systems for installation in the USA and Asia. As well as helping to configure speaker management systems for our new products and learn a range of industry standard software. In the future I’d like to be a system designer. I just think its ones of those jobs, if you do it right in the first place, everyone’s experience is better, crew and audience alike. " 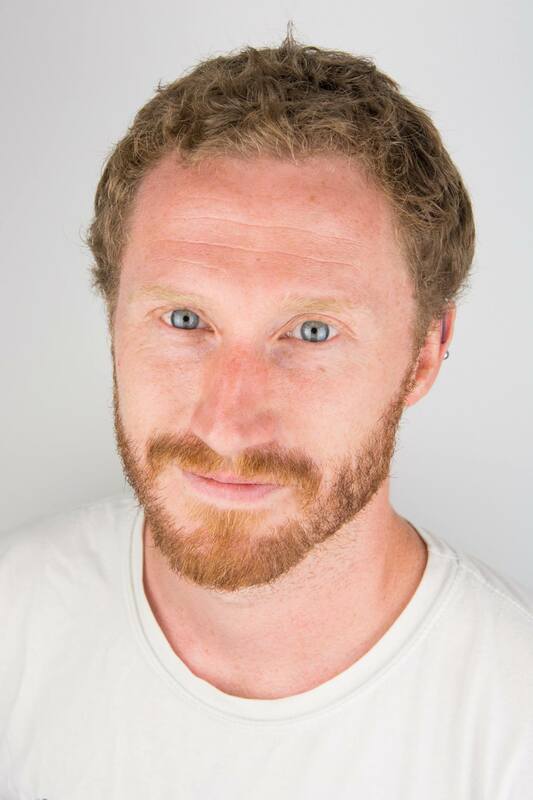 When asked about Simon's time studying with dBs Music, leader of our Live Sound course added, "Simon Purse was a pleasure to teach on both the dBs Music Live Sound degree (which he passed with Distinction) and during the top-up BA. Possessing an enquiring mind and good social and communication skills he became the class Student Representative and submitted an exemplary Dissertation concerning linear phase filters which received the highest mark of the whole cohort. "I am very pleased that he is now working for Martin Audio and is moving on to a new phase in his career and development. I think we might have to get him back in a few months to pass on to our students what is is like to work such a prestigious Pro Audio company and share some tips. " You can read more about the role and the official press release from Martin Audio over at their website.